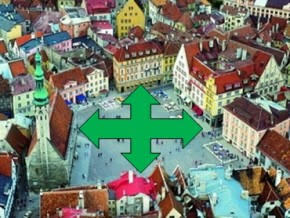 We invite you to join Game Quest - Collect The Secrets Of The Old Tallinn. The number of participants is not limited. In case of a big number, all are divided in groups and competing with each other. It the beginning of quest in Tallinn, the commander of the game gives you – maps, tasks, “the potion of inspiration” and explains the rules. On the route you will need to accomplish all kinds of tasks requiring knowledge, attention and speed. The end point of the game is unknown. Too bad, you are going to find it out when answering the last question. But all of you will definitely come to finish and then collected points for right answers will be calculated and winners will be awarded. The game is suitable for all ages. Children under 10 years need to have accompanying adults. You can spend forever strolling around the Old Town and every time you will discover something new – crooked streets, steeples, weather vanes, cozy courtyards, theaters and museums. Many of the town’s mysteries appeared by themselves, some were made up by citizens and some of them are a mystery for historians. Are you in Tallinn for the first time? Have you come with a bunch of friends? Looking for some fun activities for children? Do you want to find the “smart one” in your family? Game Quest starts every Saturday at 15.00. Moderate - Active- walking around the city during the game for an hour and a half.